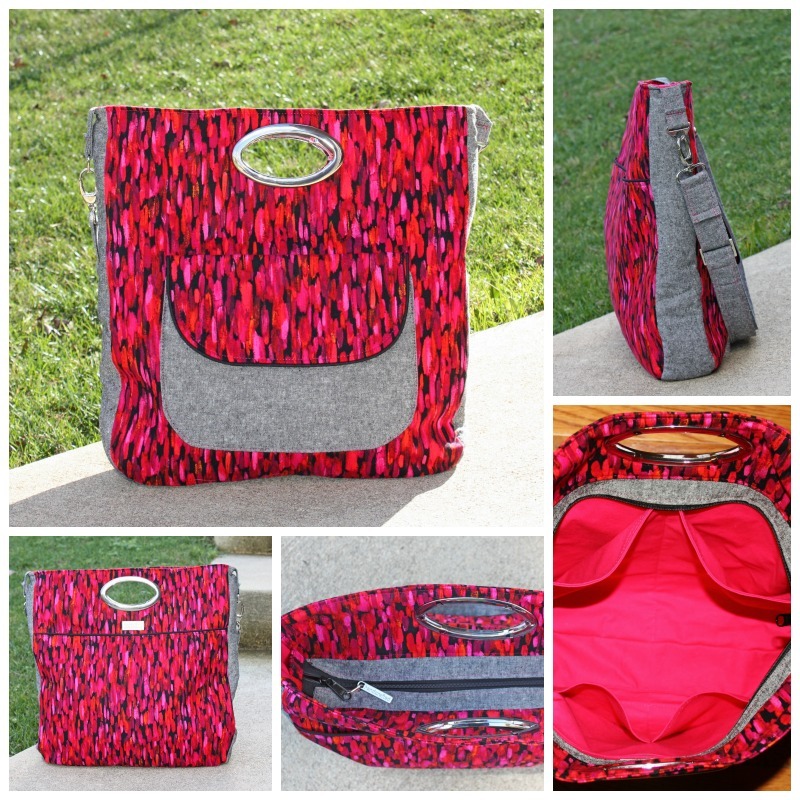 Today we've got a fabulous guest post by the lovely Amy from Virginia Girl Design. Amy makes the most gorgeous bags, and I was fortunate to have her as a tester on the Window Shopper Tote. 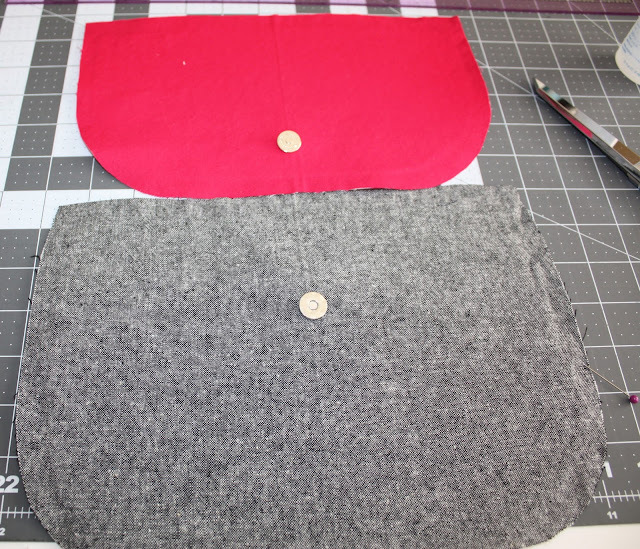 Amy chose to flatten her front pocket and add a piped flap, she's here to tell us some more about it! "When I was asked to test the February Bag of the Month I was ecstatic! I love Samantha’s patterns and this bag is perfect for me. I have four children and tend to carry a ton of stuff everywhere I go. I did know right away that I’d like to add a flap, secured by a magnetic snap, to the front pocket because my bags get thrown every which way and, if not secured, the bag’s contents tend to scatter. 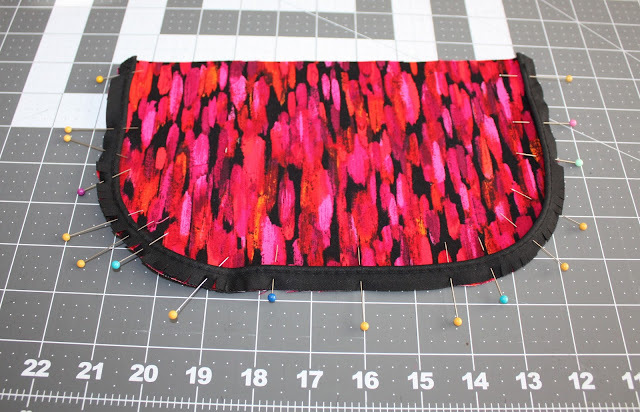 Since I wanted to add a flap I thought it would be best to decrease the size of the pocket piece and remove the pleating because I didn't want too much going on visually. I played around with the size of the pocket using my printer’s scaling feature and printed at 80% of the pattern piece’s original size. I also used a ruler to straighten out the top which removed the pleat to do this I took about ¾ of an inch off the top of my scaled-down pattern piece. 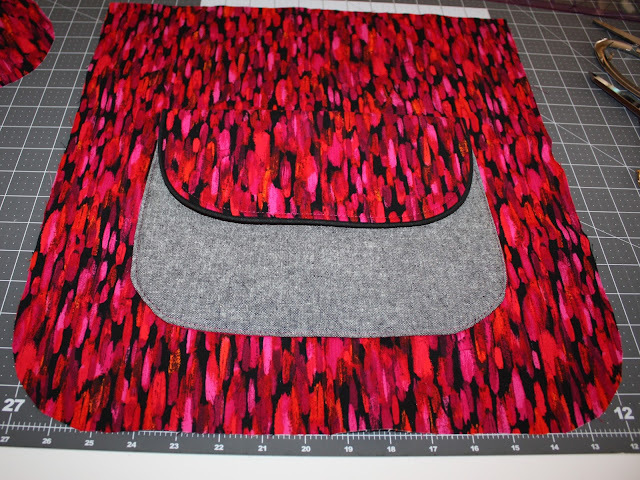 I then cut out and interfaced, with medium weight interfacing, an exterior pocket piece and a pocket lining piece. I used cardstock to make a curved flap pattern piece sized to fit my new pocket and cut out and interfaced a flap piece in my exterior and interior fabric choices. I also interfaced the flap lining piece with fleece, cut well out of the seam allowances, for a little bit of extra stability. To jazz up the flap I added piping to the interfaced exterior piece before sewing. Amy put the snap for the flap 1 1/4" from the curved edge and for the pocket, 2 3/4" from the straight edge. 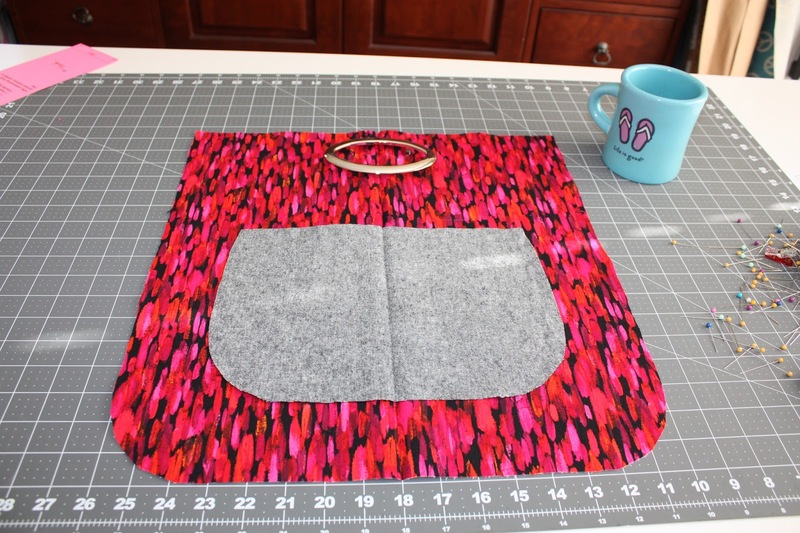 I sewed the flap, right sides together, leaving a small opening on the straight side, turned right side out, pressed my turning gap in and top stitched along the curved edge. The turning gap will be sewn closed when the flap is sewn to the main exterior bag piece. I followed the pattern’s sewing instructions to construct my pocket but skipped the pleating of the pocket steps. Then I placed my completed pieces on my exterior main panel and made sure they lined up and would open and close properly, sewed them down and pressed. Voila! 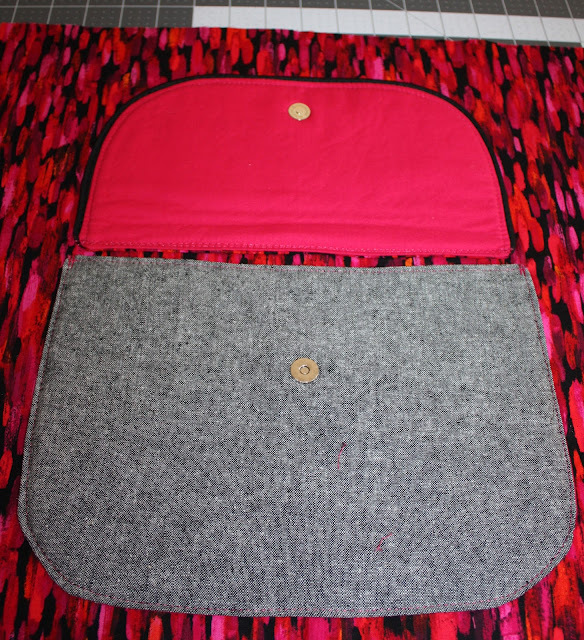 Here’s my completed pocket with a flap." Thanks Amy for showing us how you made your pocket, I love that you used a contrasting fabric for the pocket and matching for the flap! I'll be back with another flap next week, and I'll show you how to add metal trim to the edge of your flap! I am loving seeing all of your Window Shopper Totes pop up in the facebook group, you're such an inspiring bunch!